Walter C. Haffner, Sr. originally started in the railcar business with Mr. Thrall of Thrall Car in Chicago, IL. Walter Sr. re-located to Mobile, AL in 1948 bringing with him the Tank Car leasing business he named the WALTER HAFFNER COMPANY. He incorporated WCHX in 1951, and from that time until 1968 when Walter Jr. joined the company, the Walter Haffner Company has focused on providing quality service and maintaining a one on one personal relationship with it's customers. Walter Jr. took over as President in 1980. He graduated with a Logistics and Transportation degree from the University of Tennessee. Walter Jr. has steered the Walter Haffner Company into the 21st century maintaing the principles Walter Sr. focused on since 1951. Walter III joined the company in August 1997, after working at Federated Corporate Transportation, a division of Federated Department Stores, and Alliance Shippers in Atlanta, GA. Chip graduated from Auburn University with a degree in Logistics and Transportation in 1994. 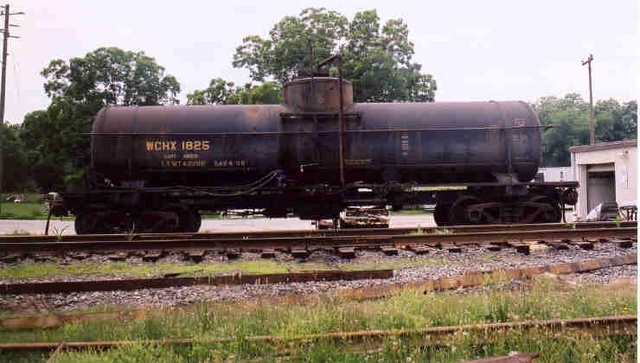 Chip's role has been to handle the day to day operations, keep the Walter Haffner Company up to date on regulatory changes in the Railcar Industry , and most importantly working with the customers and working to keep the foundation of WCHX solid for years to come. From 1931-1945, Haffner-Thrall, located in Chicago Heights, IL was a successor from United Car Company to Thrall Car maunfacturing Company. Built in July, 1919 by the American Car and Foundry. 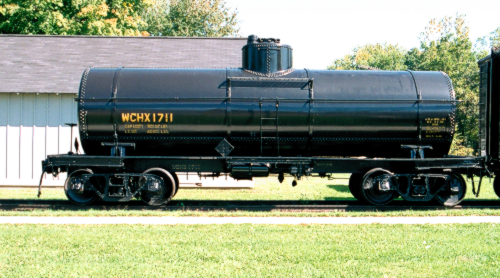 This car was originally Palace Poultry Tank Car # (PTCX) 1103. Then it was WCHX and was later sold to Animal Byproducts of New Carlisle, Indiana. ABP donated the car to our museum in July 1993. This is a car from the Hartwell line in Greorgia. BLT 5-40 and then SAV 4-65, it is an old car. 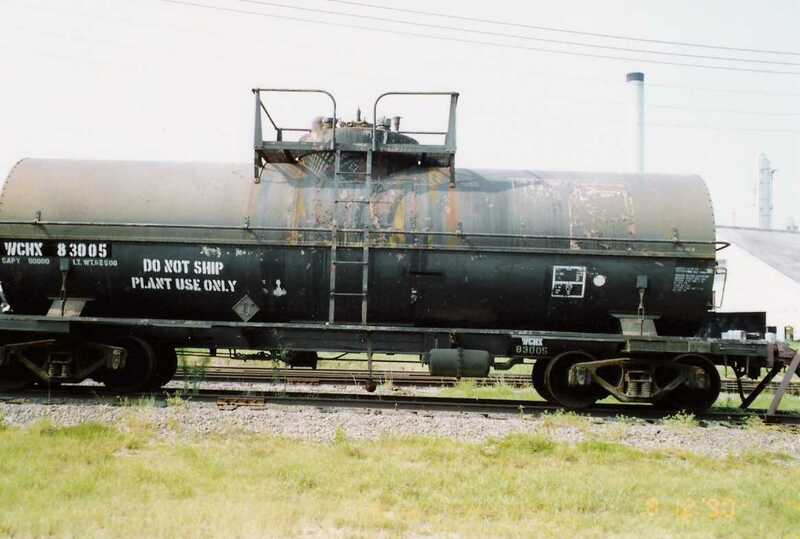 It is now used to store fuel for the shortline's locomotives. You can see the pump that has been modified to run off compressed air in the first picture.